ASTROLOGY REALLY IS BEING ACCEPTED MORE IN THE MAINSTREAM NOW, AS A MEANS TO INSIGHTFUL UNDERSTANDING OF WHO WE ARE, HOW WE BEHAVE, AND WHAT WE ALL HAVE IN COMMON. IN 1970, I WAS GIVEN A BIRTHDAY GIFT OF HAVING MY CHART DONE BY A VERY GOOD ASTROLOGER; IT WAS THE FIRST TIME I HAD IT DONE. MY MOTHER WAS INTO ASTROLOGY, SO I HEARD CONVERSATION ABOUT THE PLANETS AND SIGNS, BUT I WASN’T QUITE SURE I KNEW WHAT IT WAS ABOUT. I MET THIS TALL, LANKY, ELEGANT, BEATNIK-LOOKING WOMAN, WHO IN A VERY MATTER OF FACT WAY PROCEEDED TO DESCRIBE MY CHILDHOOD, MY PARENTS, AND EVERYTHING THAT WAS IN MY HEAD THAT I THOUGHT NO ONE KNEW BUT ME. I WAS AMAZED AND TOTALLY ENGAGED AS SHE PREDICTED MY FUTURE CAREER, AND MY RELATIONSHIPS. SHE ENDED WITH THE FACT THAT I WOULD EVENTUALLY MEET MY SOUL MATE WHEN I WAS IN MY 60’S. WHATTTTTT !!! I WAS 25 YEARS OLD, SO SHE HAD TO BE WRONG. I SPENT DECADES-LONG RELATIONSHIPS TRYING TO PROVE HER WRONG. I SHOULD HAVE KNOWN – WELL, I GUESS I SECRETLY DID – THAT SHE WOULD BE RIGHT. SO YES! I MET MY SOUL MATE AND NO SURPRISE, HE ACTUALLY FIT THE DESCRIPTION OF THE PARTNER I WAS MEANT TO HAVE. ASTROLOGY IS SERIOUS BUSINESS AND NOT CRYSTAL BALLS, BUT IN THE GUISE OF ELIZABETH BEST RACINE, IT’S A VERY MATTER OF FACT, NO NONSENSE APPROACH TO LIFE. THIS IS IT – THIS IS WHAT YOU HAVE IN STORE. NOW IT IS UP TO YOU TO USE THIS INFO AND MAKE IT WORK FOR THE LIFE YOU WANT TO HAVE. IT IS SUMMER AND THE SIGN OF CANCER IS FROM END OF JUNE TO END OF JULY. YES, CANCER IS THE “I FEEL THINGS” SIGN AND WE … I AM A CANCER. WE FEEL THINGS BEFORE ACTING OR MAKING DECISIONS OF ANY KIND. CANCER IS A NURTURING SIGN AND WE LIKE TAKING CARE OF OUR FAMILY AND OUR HOME. WE HAVE THE MATERNAL INSTINCT AND ARE THE CREATIVE FORCE OF THE SIGNS. CANCER IS ALSO THE SUN SIGN OF THE USA, WITH JULY 4 BEING THE BIRTHDAY OF THE USA. THEREFORE WE ARE THE COUNTRY THAT TAKES CARE, THAT IS NURTURING, AND SERVES AS THE PROTECTOR OF THOSE IN NEED. WE ARE ALSO TYPICAL OF THE SIGN OF CANCER: FIERCELY COMPETITIVE AND PROUD. WHILE THIS IS A TIME OF DISRUPTION GLOBALLY AND EACH COUNTRY IS FACING NEW CHALLENGES, THE PRINCIPLES THAT DEFINE CANCERS’ TRAITS WILL NEVER CHANGE. First, happy, HAPPY birthday to an amazing Cancer woman who broke the mold for so many reasons. 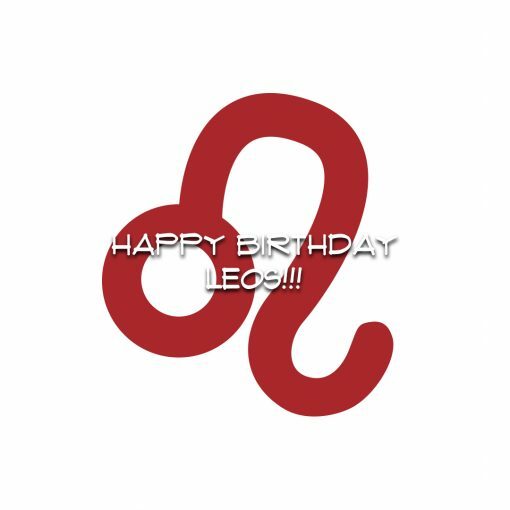 Enjoy your birthday month! — Secondly, Elizabeth Racine is an extraordinary astrologer who I was so fortunate to have a reading(s) with. She totally blew me away with her readings. Described me inside and out and gave me such valuable, healing information. Astrology is real and powerful when offered by those gifted in interpreting it. Would love to have learned this craft by those able to teach it. Such an insightful tool for self-progress. 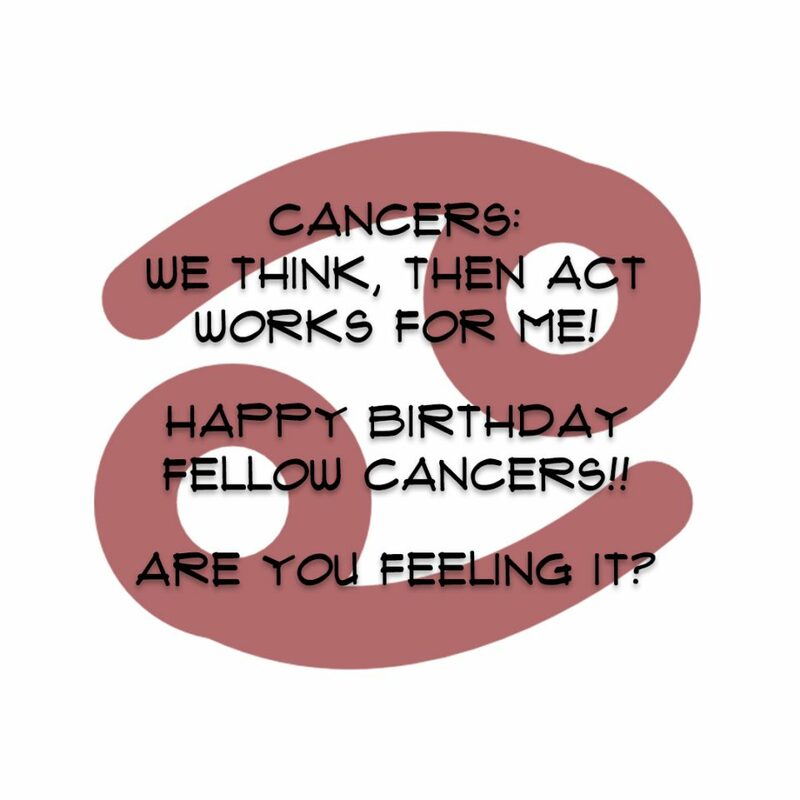 As a mars-in-cancer person, I send all cancers my appreciation and gratitude for their energy of creativity, intuition and strength which each of you bring to the world narrative! — Celebrate! There is no one like Elizabeth. She is so wise and has been my wise sister for so many years. She is my mentor. I am so glad you have had the opportunity to experience her wisdom. Through a mutual friend, Dennis I was encouraged to see Elizabeth and have my chart done. The first time I went was in the late 70’s. She told me I would be moving to the west. (2 yrs later I moved to LA) She talked about a car accident and yep I was in a bad one in 1995. She is so right on. This reminds me to see her before my virgo bd. If you feel it’s a good tool use it!! Happy Birthday! Just wanted to say you are one of my role models. I own two of your jumpsuits and one all in one dress. Since tarot and astrology is a big part of my life, I am so glad you have written about astrology. More please. I love your health and wellness tips too! Happy Birthday, Norma Happily I celebrated my 78th on the 13th ……. favored your taste and remain ‘addicted’ … have bought a few items. Wish you would create a group of pieces for “My Crowd” 75 and up.